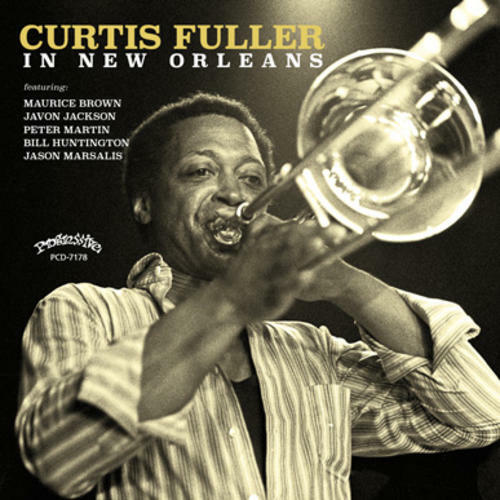 Curtis Fuller visited New Orleans in 2002 and the GHB Jazz Foundation took the opportunity to arrange a recording session in our Audiophile Studio. Fuller brought in master horn players Maurice Brown (trumpet), Javon Jackson (saxophone), and hired a local rhythm section consisting of Peter Martin (piano), Bill Huntington (bass), and Jason Marsalis on drums. Together they produced a very swinging program of standards, some well known jazz tunes, and two Curtis Fuller originals: "Arabia" (famously recorded by Art Blakey's Jazz Messengers) and "The Court". As an extra bonus we've included an alternate and longer studio take of "Caravan," which features an extended drum solo by Jason Marsalis.